Matt Shrive, X-Games and World Cup snowboarder, will start at the top of the 5,800ft mountain and will drop 1,700ft within two miles into a canyon. 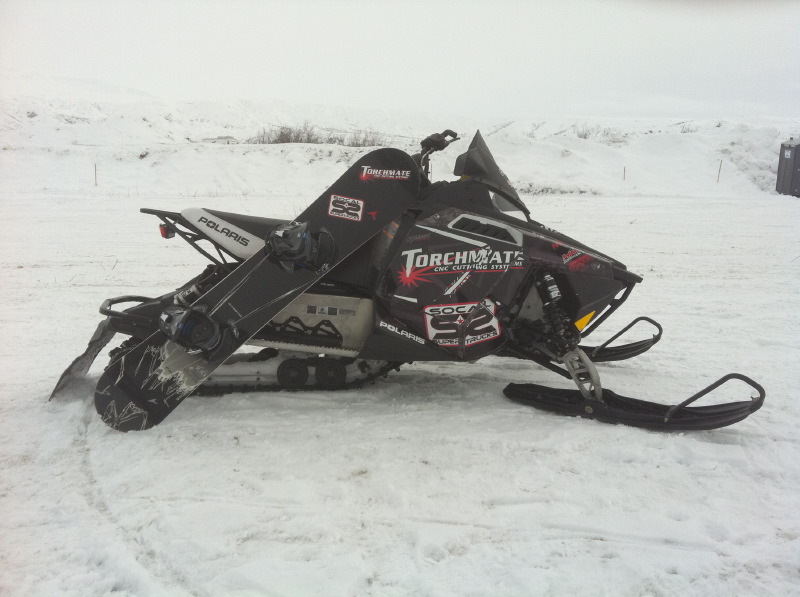 When Shrive hits the canyon, Tyler Thomas will meet up with him on the snowmobile at speed and connect the two with a towrope. The pair will continue uphill for about two miles hitting speeds close to 100mph. At the top of the second mountain, the pair separates and Shrive will snowboard down another 1200ft to the finish line. “To make the event the length that we desired, we had to link one hill to another,” commented Howard Thies, creator and race director. It is a rare combination to ever see skiers and snowmobilers together since the worlds are well disconnected, but in this rare combination they have to be a fluid team. The most challenging part will be getting the handle into the hands of Shrive as Thomas approaches at speed and paces the snowboarder. 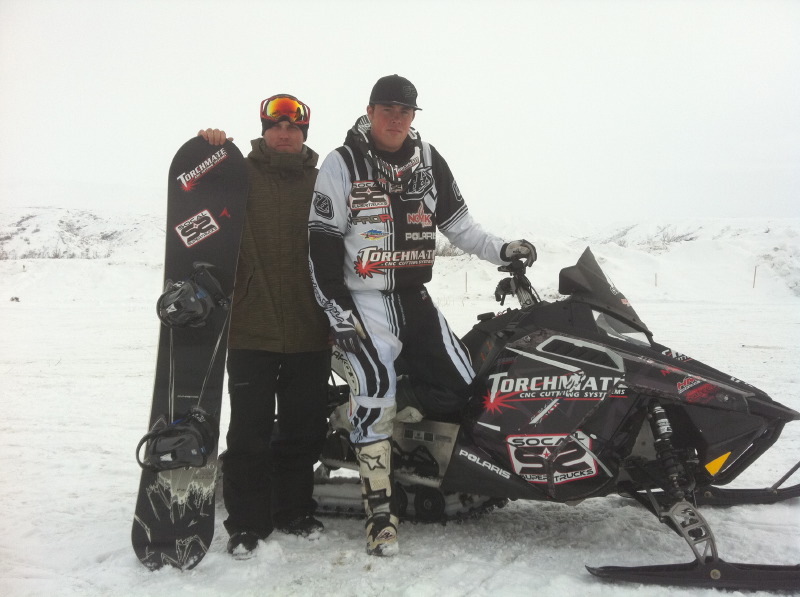 Both currently from Reno, Nevada, 19 year old Tyler Thomas will be driving a 2011 Polaris RUSH 600. Matt Shirve, a seasoned competitor and former US Snowbard Team member, will be riding a Burton snowboard. Track the success of the team on Torchmate Racings Facebook page, and then check www.TorchmateRacing.com next week for their full event recaps.